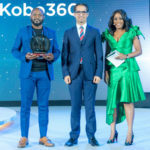 UPDATE (27 March 2019): Khomba co-founder Sizwe Cele responded to Ventureburn subsequent to the publication of this article to say that his startup has not received any funding from Smart Billion Investments (this article had initially stated that the startup had received R16m from the investor), but rather is in talks with the investor as well as three other investors, to obtain investment. Cele however did say that the mobility startup has raised R15.5-million in the last three years of development, from himself, co-founder Meco Mugnaioni as well as from various “friends and family”. 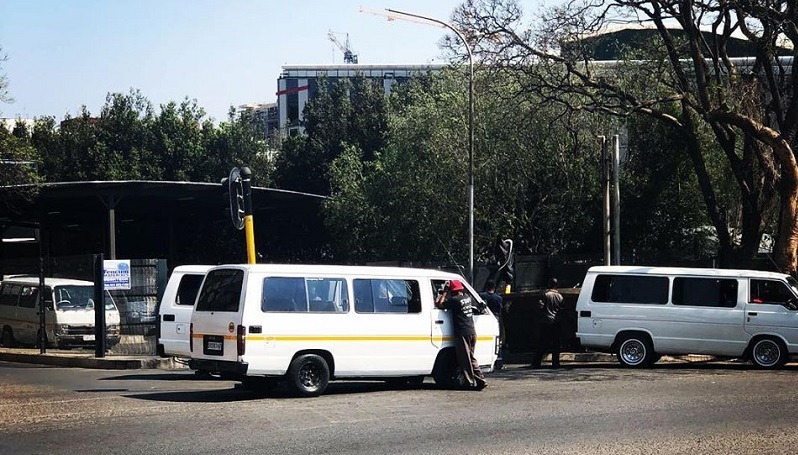 A new R150-million Section 12J venture capital (VC) fund, Opus Ventures, which aims to invest in mainly black-owned tech startups, has already earmarked its first deal — a R3-million investment in taxi app Khomba. The fund’s head Zuko Tisani told Ventureburn yesterday that the deal has not yet been concluded, but that his fund which was set up recently, aims to take an eight percent stake in the startup. The startup helps minibus taxi commuters to better optimise the affordability and length of their commute by finding nearby minibus taxis. Taxis are fitted with WiFi to enable them to be located by those using the app. The idea, Tisani said, is that once the deal is concluded the fund will monitor the investment in Khumba for 18 months before deciding whether to invest more in the startup. Khomba co-founder Sizwe Cele said his startup, which is still trialling the app, is also in talks with four other investors — including Johannesburg based Smart Billion Investments — to obtain funding. He said the startup is looking for R200-million in funding. Cele said his mobility startup has raised a collective R15.5-million in the last three years of development, from himself, co-founder Meco Mugnaioni as well as from various “friends and family”. While Tisani said the startup is valued at R41-million, Cele said the valuation was made in December and is now likely far higher as his team had “built so much more since then”. He said has spent three years developing the product, which he described as being “a battle”. His startup is currently piloting the app and he said the company expects to launch it to market at the end of May. Ventureburn sought confirmation yesterday from Smart Billion’s Thulani Mogafe on the investment, but he did not wish to comment. Opus Ventures was approved by the SA Revenue Services (Sars) as a Section 12J VC fund in January, shows a list (opens as PDF) on the Receiver’s website. The fund is being administered by Grovest, which also administers a number of other Section 12J funds on behalf of clients. The fund is chaired by Business Leadership SA chief executive Bonang Mohale and Tisani said his fund aimed to raise the R150-million from both high net worth black individuals and from corporate agreements linked to the BEE scorecard’s supplier development element. So far the fund has raised under R30-million, he said. Tisani also provides consulting work through his company Legazy Technologies, helping the government and corporates to co-ordinate foreign networking and trade events for black startups. Tisani is partnering with Devon Alexander as general partner and Brandon Katz — who by day works at Catalyst Research Solutions as a consultant who advises on various government incentives available to businesses. While Tisani told Ventureburn that the fund would look to invest in black-owned tech startups, Katz told the publication in an email earlier this week that the fund would look at white-owned companies too — although ideally it would seek to deploy funds into “small ideally black-owned companies”. “The concept behind Legazy is to identify companies that can benefit from having a BEE level to get access into large corporates. We have a big network of companies that we can help the startups get into. So, we will look at any company,” he said. Katz pointed out that the fund is 100% black-owned by virtue of the fact that the fund is owned solely by Tisani, who is black. This he said meant that by default all investments the fund make will be “BEE equity transactions”. Under Section 3.10 of the BEE Amended Codes of Good Practice which regulates Private Equity Funds, a fund is deemed black owned if at least 51% of any assets under management fees that are earned go to black people and if the fund invests at least 51% of the funds into 25% black owned companies. Katz said he had no equity in the fund. “I just help identify companies, help with business development and help fund raise. “If a company invests into a fund purely for an ESD (enterprise supplier development) write-off then that would be their stance and it doesn’t matter because we would deploy that capital into small black-owned companies,” he said. “We not really looking for a unicorn, we would rather build 50 companies doing R100-million turnover (sic). South Africa isn’t the right market for a unicorn but it is ripe for disruption in many industries,” he added. He said the fund “ideally” would invest in “innovative tech firms” but that traditional businesses that could with a bit of funding develop an online tech platform which would help scale the company, would also be considered.